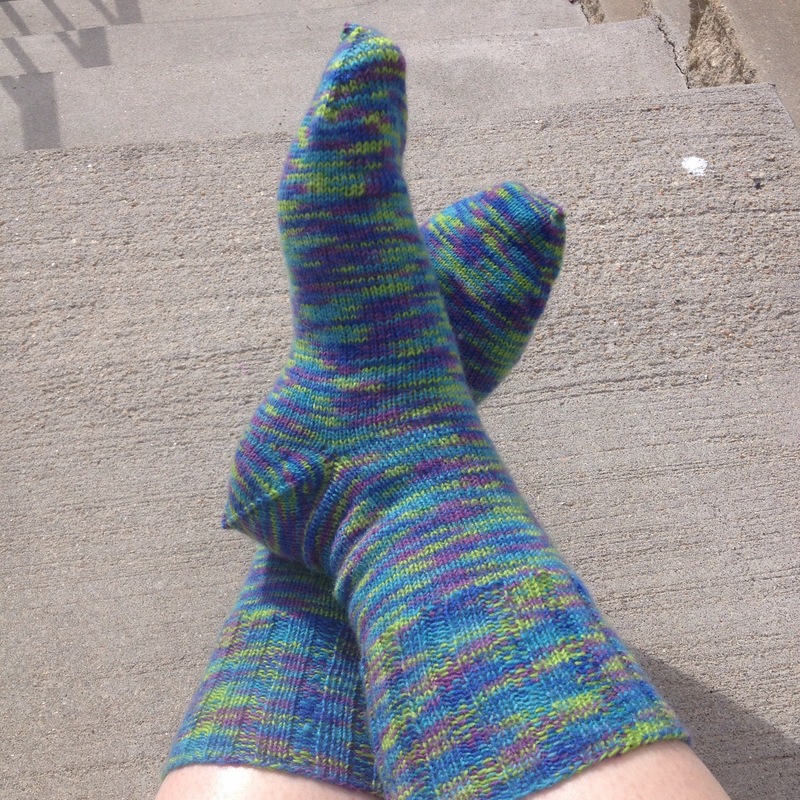 My April Socks got finished on April 1. Mostly because I didn’t have anything else on the needles at home. This pair is another for my mom. I did the typical style I generally do for her socks, but, I added an afterthought heel instead of the regular heel. Just because when I was knitting them, I was on the go and had already packed my pattern book that gives me the heel instructions for that particular sock. The yarn is Opal, which I love for a hard wearing pair of socks. My May socks I started this morning. I am knitting them out of reclaimed yarn. Originally I’d knit a pair of shorty socks out of this yarn, but they never fit correctly, and I’d saved the remainder of the skein. 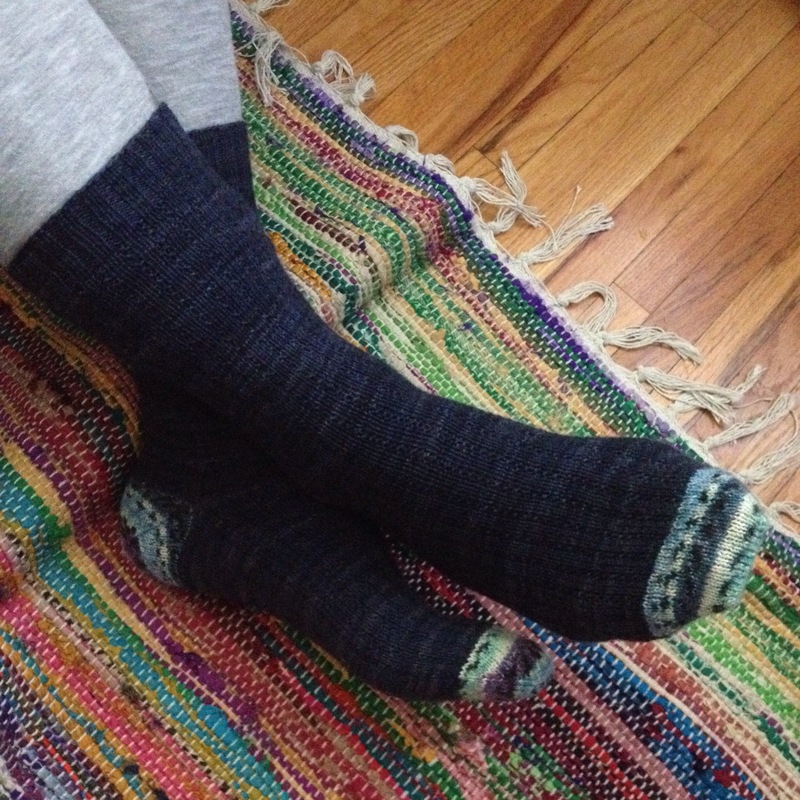 So, awhile back I frogged the shorty socks and decided to knit something else with them. 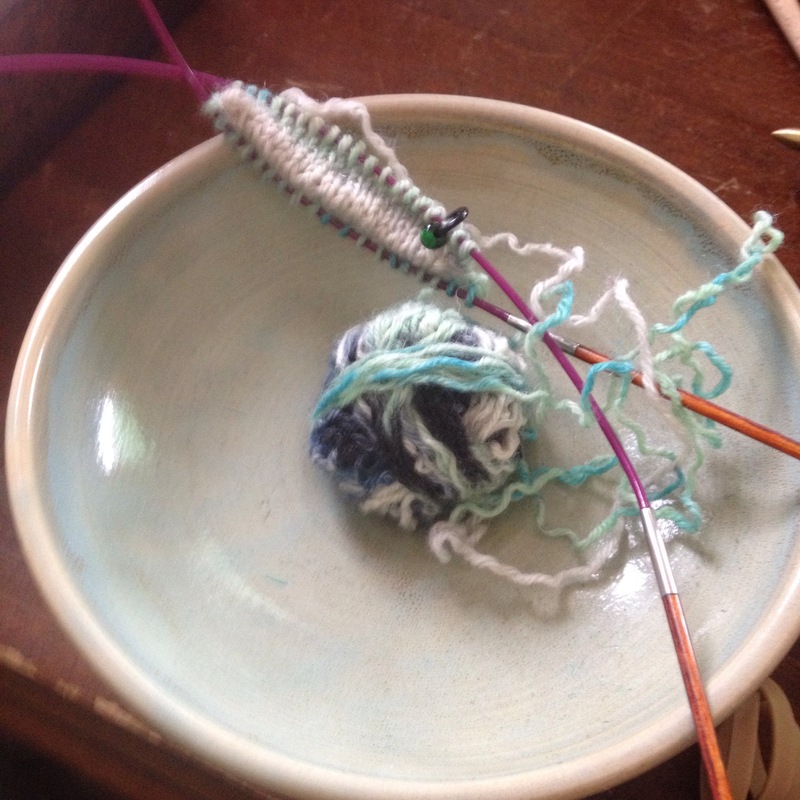 First, I used that yarn for the heels and toes of Mr. Ink’s socks. Then, I weighed the remainder. I’ll knit toe up socks with an afterthought heel using the remainder of the yarn. For the heels, I will use the remainder of the dark blue from Mr. Ink’s socks. And fortunately for me, this can take an entire two months! Plus, it’s going to be fairly mindless knitting, so I can keep the sock with me on the go and work on it when I get an opportunity without worrying about a pattern. Perfect choice for this particular month.